There's some great music coming out! I am so excited for the new and upcoming singles/albums! So, let's talk some music! 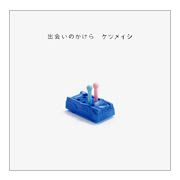 宇多田ヒカル(Utada Hikaru) has a new single coming out 2.20 followed by an album 3.19! Cute! I love Pon Pon Kumachan! Her album drops 3.19 and is simply titled "HEART STATION"
You can also listen to Stay Gold here. 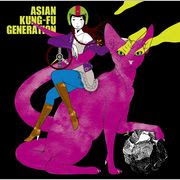 ASIAN KUNG-FU GENERATION! 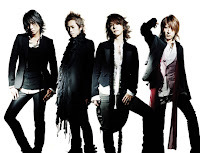 I am very excited about their upcoming album: ワールドワールドワールド(World World World)! Which drops 3.05! Yay! Buy it! However, you have tunes to listen to while you wait! Their single, 転がる岩、君に朝が降る, just came out (2.06). While I was watching it, I was like...is the seed going to sprout? Will it grow! And then, sidetracked by the boringness, I got to thinking...do you know who makes excellent music videos...L'arc. Oh, back to the music video. Will it grow, OMG this is taking forever! Great song, bad video! His mouth is so huge, it doesn't look like he has any teeth at times, maybe he's toothless, that's gross. OH, OH! It's sprouting! Then, two leaves! TWO miserable little sprouty leaves....SIGH. That was sad. So anticlimactic. Not their best video, usually I like them too. 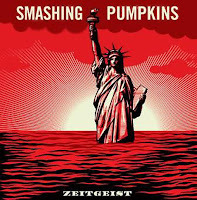 Great song, great lyrics, sad disappointing, ADD causing-video. But nevertheless BUY THEIR ALBUM 3.05! I am unimpressed. I don't care for it, the song or the video. Maybe it will grow on me? The beginning was like WTF is going on? And made me want to throw up. Please don't stroke that...and for the love of *grasp head* don't lick anything...ugh. Then the music video was like are they trying to be hard rockish? Punkish? What is going on? They are caressing themselves, their mics, 亀梨 (kamenashi) needs to stop licking himself. Oh my god! 3:00 into it we have a beat boxer! Holy crap! LMAO! *covers eyes*... Alright. So. This is what I think. Stick your tongues back in your mouth! Or I am going to cut them off...at least their singing would improve. I wish that little red lightning that was flashing everywhere would electrocute them all! So they would shut the hell up! How annoying was that song. No. I correct myself. How annoying were they! KAT-TUN. Okay. *breathe*. I think it's even funnier the second time. If your a masochist (shame on you), their (KAT-TUN) single is called "LIPS" and it came out 2.06. If you've stuck with me this far. I have some more news. Yahoo is in the midst of its Yahoo! Music Award 2007 and you can vote! But hurry, all voting ends 2.18. What this is, is Yahoo! Japan gives its music awards to the best of the best (arguably so) voted by the users (that would be you) so get voting. The categories are as follows: Best Male Artist男性, Best Female Artist女性, Best Groupグルプ, Best Photogenic Artistフォトジェニック (I think this is hilarious, it's like high school), Best Western Artist洋楽 (which means American Artist, they are all crap...I had a hard time voting for this one), Best Newcomerニューカマー, Best Artworkアートワーク, and Best Collaborationコラボレーション. So VOTE! If you don't know who to vote for let me tell you. 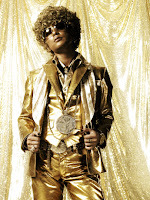 Best Photogenic: DJ OZMA (He so is...look at him with his afro..and he's gold. +1 for being gold, man! +10000000 for being Gold all over *wink wink nudge nudge* we like to be classy here on Mochi Balls) Plus, he's the only dude in his category, props OZMA. He's already his own personal trophy. He's already a winner. 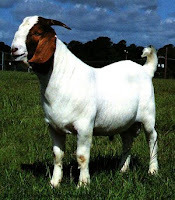 Best Western Artist: I choose this goat because I think it can sing the best. Best Newcomer: ONE OK ROCK. 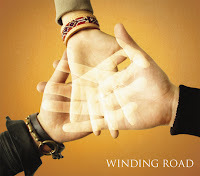 If UVERworld and Orange Range had some dirty one night stand with a rock group, this would be their nasty love child. 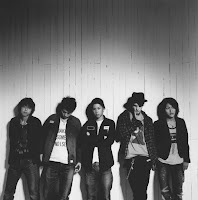 ONE OK ROCK = one, okay rock group. Okay so, if you want to vote go here. All you have to do is select your fav from each category and click vote (投票する) at the bottom of each page. Have fun and vote wisely! ( ´ ▽ ` )ﾉ Cheers. What do you think of HIkki's new album? Which drama are you most excited for?